Carabiner Keychain with Compass Strap - Customized Engraving - Priced from 89¢! 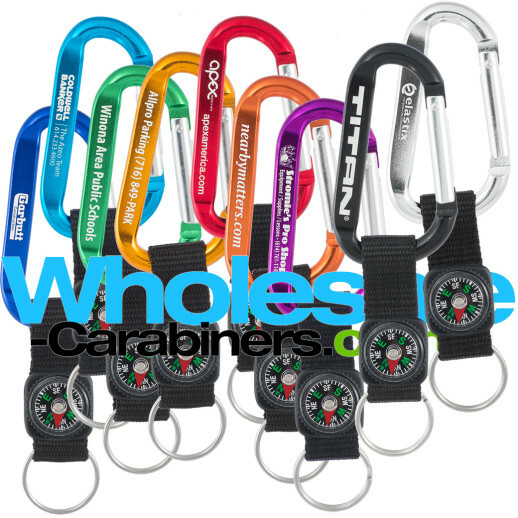 Combine our Level Best Carabiner Keychains™ with a compass & a rugged nylon strap for an always popular combo at wholesale pricing. Available with either the full-sized 3.125" carabiner, or the "mini" 2.25" carabiner (dimensions not including the compass / strap).